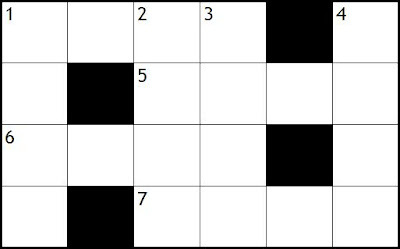 Use the clues to fill in this crossnumber puzzle. 5. The number of square inches in a square yard 2. A prime number. 6. The number of cubic inches in a cubic foot. 3. The number of feet in a mile. 7. The number of millimeters in a meter. 4. The number of seconds in an hour.